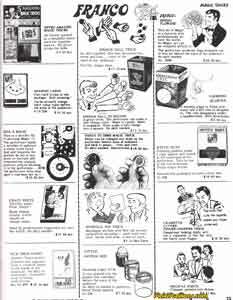 Chances are at one point in your childhood, you became somewhat interested in Magic, especially tricks that you could perform yourself. 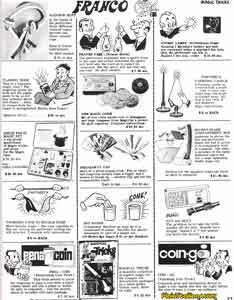 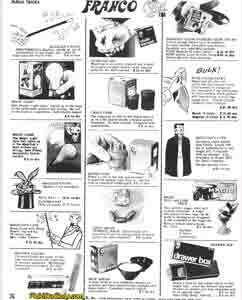 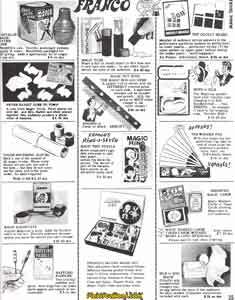 This 1975 Catalog by Franco American, one of the bigger novelty distributors shows that you weren't alone, their rack toy like selection of magic tricks might be familiar if you ever desired to pull a rabbit out of hat. 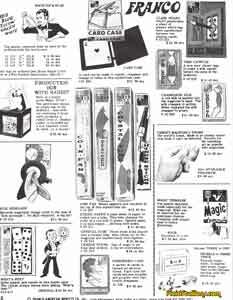 Click Below to see some cool old school magic trioks.